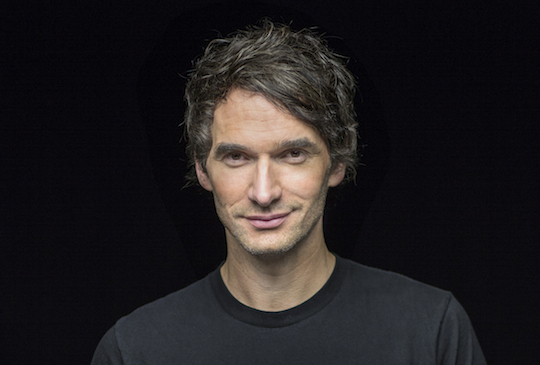 Creativity can solve any problem and companies don’t need to spend millions with advertising agencies, Todd Sampson says. Leo Burnett Australia CEO and regular television personality captivated the audience at Salesforce’s recent World Tour event in Melbourne, giving advice to business people on conquering the challenges of creativity and fear. “Creativity can solve any problem, but most organisations’ creative IQ is declining,” in his view, due to institutionalised conservatism in the name of profits and the fact that most organisations outsource creativity to ad agencies, management consultants and so on. “Advertising is the price companies pay for being unoriginal,” Sampson controversially asserted, before launching into a how-to guide to creative brainstorming. He pointed out his opinion that the current education system and the corporate world are stifling to creativity; hence, “the people at the top tend to be the least creative” because they have succeeded within the system. But creativity can be learned, and “everyone with a head has something to offer”, he said. The majority of money spent with advertising agencies is spent on symptoms rather than causes – companies need to get to the heart of their issues before coming up with ideas on how to solve them, Sampson said. “Assemble an eclectic group of people, no more than eight,” of mixed gender, race, and professions. Spend 20 minutes “with no filters”, coming up with as many ideas as possible. Just 20 minutes is surely an achievable investment in the business, Sampson stressed. “Borrow a head” to switch perspectives on your ideas. Look at the same problem through the lens of someone else. We become more functionally fixed and arrogant as we age, Sampson said. Sampson spoke at length on the topic of fear, illustrated through his experiences mountain climbing in Alaska and Mount Everest. After a particularly harrowing experience descending a mountain in a severe blizzard, he learned a lesson that he has applied to both his personal and professional lives: “The antidote to fear is action”. While everyone experiences fear; fear of the unknown, fear of failure, fear of looking bad – Sampson believes the difference between ordinary people and great leaders is one small detail.